At 11 a.m. on the 11th day of the 11th month of 1918, the first World War ended with Germany signing an armistice prepared by Britain and France. The “War to End All Wars” had lasted four years and four months. The United States’ involvement lasted a little more than a year, having declared war on Germany on April 6, 1917. Dr. Jeanne Petit, professor of history and chair of the department, has conducted extensive research on the United War Work Campaign, an interfaith program that raised funds to support U.S. soldiers during World War I. As part of this project, Dr. Petit took four Hope students to the Library of Congress in summer 2015 as part of a Great Lakes College Association grant. Their final product was a website, For the Boys Over There: The 1918 United War Work Campaign. 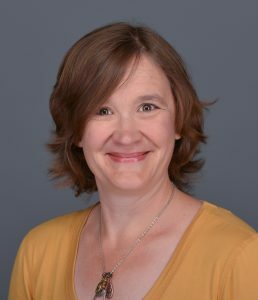 Additionally, in 2017, she and Dr. Geoffrey Reynolds, Director of The Joint Archives of Holland, led another group of three students in researching how WWI affected the homefront in Holland, Michigan, and at Hope College. What wonderful work! Of course you did work that matters. Of course you influenced your students in the most wonderful of ways. Of course you did.